Don’t you be deceived by the slim and sleek appearance of this machine, inside you will find high-performance hardware. s we are all about tech and gadgets that will make both your work and life easy, we know no boundaries as far as price and brands are concerned. In our video reviews we show you everything from high-end machines to the more affordable tech solutions. Today I am going to show you something that belongs to the first category. 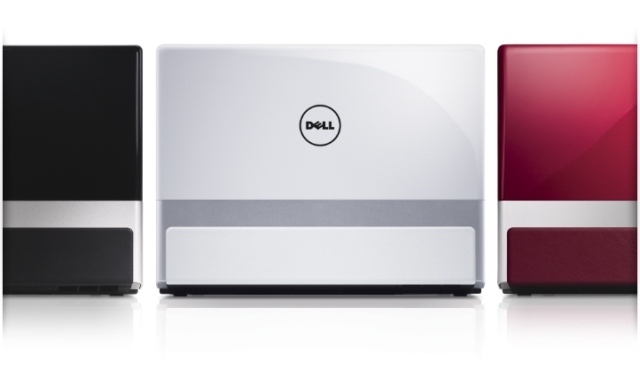 It belongs to the XPS Dell family which fits the excellent performance in a sophisticated, sleek cover. Dear tech fans, Digital Magnet chose to reveal to you Dell XPS 13 Ultrabook. We were impressed with the design and the overall make of the case of this ultrabook. This beauty’s lid cover is metallic silver-grey since it’s made of aluminum. It makes the computer look both durable and solid on one side, and elegant on the other. The base of the machine is made of carbon-fiber. The minimalistic appearance, the curved edges and smooth lines create the impression for a jewel machine. One that weighs only about 1.36kg which automatically places it in the light category of ultrabooks. It is just as remarkably slim as it is light with its 18 mm thickness and at its thinnest point only 6mm. Its width is 316mm, the depth 205mm. Don’t you be deceived by the slim and sleek appearance of this machine, inside you will find high-performance hardware. It is fully loaded with the 2nd generation Intel Core processors i5 or i7. The chipset of this model is Intel QS67 that performs at 1.70GHz with Turbo Boost 2.0 at up to2.80GHz. The operating memory is 4GB Dual channel DDR3. These characteristics make the XPS 13 a speedy and efficient machine as it boots in as little as 8 seconds and resume from sleep mode in just 1 second. What is even cooler is the Smart Connect Technology inside that keeps your emails, contacts, calendar and social network up to date even when the ultrabook is in sleep mode. The 13.3’’ screen provides 1366×768 pixel resolution. The 118 dpi pixel density exceeds the average for the 15-inch notebooks. What we didn’t like about the display work was the black level which in low-light conditions converts the dark tones into bright grey. This also results in low contrast performance. The video card that is responsible for the graphic performance is Intel HD Graphics 3000. Dell have protected the display with Corning Gorilla Glass coverage. The keyboard is backlit for your ultimate typing comfort even in dim light conditions. However the keys positioning felt a bit too compact to us, took a little time for us to get used to it. The reason for this is the fact that Dell designers needed place for the two stereo speakers which we find on the two sides of the keyboard. The gesture-enabled glass touchpad is centrally positioned just below the keyboard and is extremely easy to navigate. The machine provides up to 256GB Solid Stare Drive storage for your personal and business information. On the left side of the chassis there is a power connector, one USB v2.0 and a headphone jack, on the right side we found one USB v3.0 and Mini-Display Port. Unfortunately there isn’t HDMI connectivity. Photos and videos can be captured with the 1.3MP webcam in the middle of the display border. The battery life of Dell XPS 13 was far from disappointing to us. The Dell XPS 13 has a 47 Whr 6-cell Li-polymer built-in battery. The intensive work process killed the battery in about 9 hours which left us pleasantly surprised.